Thank you for this…………it’s easy to say “shake it off”, or to feel resentful towards poeple who are experiencing this darkness of spirit, and can’t seem to find their way out. But please also remember those of us who do try in our own small way to help. We may not always say or do exactly the right thing, but we do try. And also, please remember those of us who do care, and do try. We may sometimes need a bit of TLC ourselves. Hello Patricia and thank you for your comments. I didn’t mean to sound too harsh in my post because I agree with you that when most people give advice it is given with the best of intentions. But even well-intentioned advice sometimes is not good advice and doesn’t help. But if our hearts are in the right place then good things will come to us. As someone who suffered severe depression as a child, I thank you and anyone else who will speak up for the clinically depressed and/or those who struggle with addiction. I have been mostly uplifted by all I have read about the death of Robin Williams, but when I read a post on FB that suggested that Robin Williams (and Jonathan Winters) derived his gifts through collution with the Devil, I had to speak up. One of the great things about a thoughtful pilates practice (or yoga or tai chi etc) is that it gives us an hour to reconnect with ourselves in a non-cerebral way…we are working in a physical, focused, calm way to better our movement. Juggling is hard in Pilates…you cannot get swept away by your nasty inner voice when you are busy collaborating with your body on the breath and the stability and the movement. Isn’t that why we all feel better after class than we did before? Thank you for your intelligent and lovely words Salle. 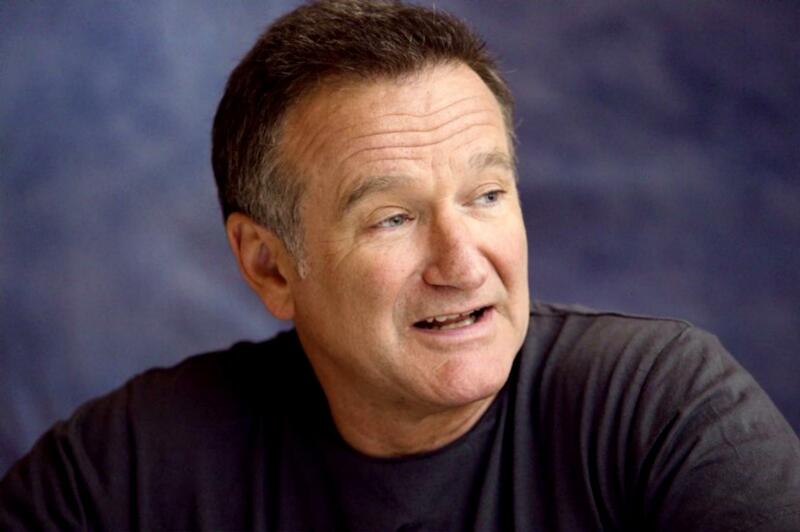 I think far more good than bad has come from Robin Williams’ tragic death. Thank you Chris for your thoughtful and compassionate response to this tragedy and the furur it invoked. As a life long, albeit periodic sufferer of clinical depression I appreciate both your comments and suggestion to explore meditation. Although meditation may not be a “cure” for depression, understanding the phemoral, changeable nature of mind can certainly give us pause before doing anything rash and also help humble our ego enough to seek the kind of help that is appropriate for our self in the moment. Thank you. And thank you Kerry There are a growing number of studies that are showing meditation is more effective than anti-depressants so time will tell us more I am sure In the meantime it is wonderful to know there are people in the world like you..
It’s so sad how much misunderstanding there is surrounding mental health, especially sad considering how it affects 1 in 3 of us at some point in our lives. For those lucky enough to have not had to battle mental health issues it can be very difficult to have the patience and understanding towards those suffering, especially if it’s a loved one.. In my experience people can feel shut out and exasperated that there is no ‘quick fix’. I really hope more awareness can help families/friends etc learn that the best way you can help someone suffering is to just be there, to love unconditionally, without judgement and give time.. Love is a great healer. I hope more people read and share posts like yours, it’s a subject we need to be able to talk about more. Thanks Zana for your beautiful words. With love and understanding anything is possible.